Want to know where and how volcanoes erupt? Or what minerals and rocks are formed by the fire mountains? In the terra mineralia, you can dive over the volcanic slide into the land of dark ash clouds and sparkling lava. In the hands-on lab "Forschungsreise" many exciting experiments await you. 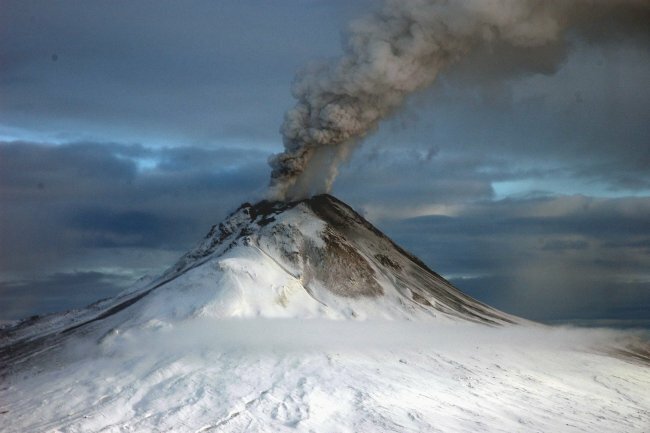 Volcano Augustine, Alaska, photo courtesy of U.S. Geological Survex, McGimsey, Game, Wikimedia Commons. Here is your reward: There is a voucher for a free visit to terra mineralia for you in the treasure chest. Print out the voucher and come around! Unfortunately you have ticked the wrong answer. 23 valuable crystals have been lost. Begin the search and collect them and you will receive a reward.